Geooco is a whitelabel GPS tracking and fleet management solution designed to provide companies and public sectors with the tools to track the location of vehicles in real-time, receive notifications and generate reports from a single location with live monitoring, a history player, central admin panel, automatic notifications, geofencing, and more. Geooco uses GPS technology to help users keep track of drivers and vehicles out in the field and make sure they arrive on time. The central dashboard and reports ensure users have quick access to all the important information they need about their fleet. Once users create an account, they simply sign in, add their GPS devices and start tracking their objects or vehicles in a few minutes. When logged in, users can check the current location of vehicles, as well as where they have been. Reports help users understand what is happening with their fleet in detail, giving information on everything from exact speed, engine status and altitude to mileage and location. Other reports enable users to detect any vehicle misuse, including speeding, harsh braking, hard cornering or quick starts. Geooco supports a native Android app, giving users the flexibility to track vehicles on the go via mobile and tablet devices. With real-time tracking technology, users can check the exact address, travel speed, petrol consumption, and more, of the vehicle. Notifications ensure users get automatic alerts on any defined events, such as for when an object enters or exits a geo-zone, or for speeding, theft, stopovers, and SOS alarms. History and reporting tools provide users with various information, including driving hours, distance traveled, and fuel consumption. Users can preview or download reports. Geooco also allows users to add markers as points of interest at important locations. 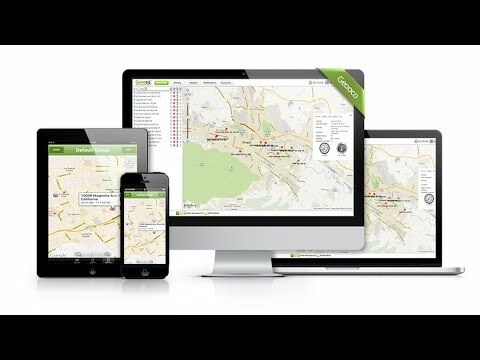 Best GPS tracking software by far ! Real-time tracking technology enables users to check where their vehicles are at any moment and track their current travel speed and petrol consumption. A native Android app gives users the flexibility to track vehicle location anytime, anywhere, via mobile and tablet devices. Users can set-up defined events and receive automatic notifications about situations such as speeding, theft, stopovers and SOS alarms, as well as when an object enters or exits a geo-zone. Reporting tools help users understand their fleet in detail, and allow them to detect any vehicle misuse in the form of speeding, hard cornering, quick starts, or harsh braking. Geooco enables users to check tank fuel levels and fuel consumption along the route and manage fuel savings. Below are some frequently asked questions for Geooco. Q. What type of pricing plans does Geooco offer? Q. Who are the typical users of Geooco? Q. What languages does Geooco support? Q. Does Geooco support mobile devices? Q. Does Geooco offer an API? No, Geooco does not have an API available. Q. What other apps does Geooco integrate with? Q. What level of support does Geooco offer?